Looking to spend a little time unwinding on the beach but can’t stomach the idea of more than a couple days at an all-inclusive eating the same bland food and staring at the same tiresome sights? Well then, we have tailored the ideal beach holiday with a twist of Mexican culture and a touch of wandering adventure – trust us when we say that bland food will be the last thing on your mind. Begin with a culinary and cultural tour of the country’s capital. Make your base in the upscale Polanco district in Mexico City’s latest luxury boutique hotel, Las Alcobas, where world-class restaurants and shopping are just steps away from the hotel lobby. A private tour will collect you from the hotel and guide you northeast of the city to explore the pyramids of the Teotihuacan archaeological site before returning to the former centre of the Aztec universe and current ‘Centro Histórico’ of Mexico City. The historical centre holds the second largest plaza in the world, trumped only by the Red Square in Moscow. After a day exploring the historical sites, it’s time to please the taste buds. 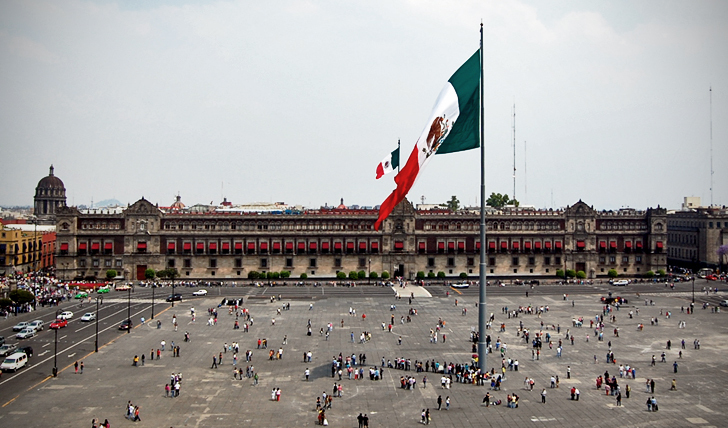 Hitting the streets, your senses will be barraged by the endless number of street vendors preparing affordable and mouth-watering Mexican staples. Forget about tacos with meat squeezed from a tube, here the meat is slow-cooked or spit-grilled to perfection and served piping hot onto hand-formed corn tortillas grilled right before your eyes. Fill up on tamales, tlacoyos, churros and finish off your street food discovery with a freshly squeezed tropical fruit juice or hand-shaved rosapados (flavoured shaved ice). Your cultural tour of Mexico continues in the World Heritage Site of Campeche – your gateway to the Yucatan Peninsula. Take a stroll through the cobblestone streets of the 16th century settlement – a typical example of a Spanish New World colonial harbour town. The historical city centre maintains its outer walls and fortifications which previously defended the port from Caribbean pirates. Lounge in hammocks over the spectacular pool at the Hacienda Puerta Campeche. The restored 17th century hacienda’s sprawling pool winds in and out of the hotel’s walls, allowing guest to find their own private sanctuary within the pool. From Campeche, a private transfer will bring you to Merida, the cultural capital of the Yucatan Peninsula. The indigenous Mayans makeup 60% of the capital’s population and are fiercely proud of their culture, exposing visitors to a unique mix of Spanish and Mayan traditions where folkloric dancers can often be spotted performing next to salsa bands. Spend your nights in the stately Casa Lecanda defined by grand marble archways that open up to meticulously well-kept tropical gardens. Choose from one of seven rooms in the luxurious boutique hotel where traditional details sit next to flat screen tvs and walk-in rain showers. The beaches of the Riviera Maya will be your next destination. 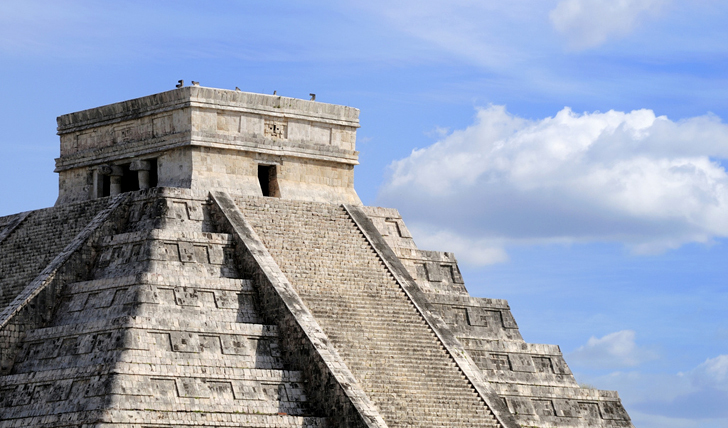 En route you will explore the marvels of Mayan engineering, agriculture and astronomical achievements at Chichen Itza. Crowned by the Temple of Kukulkan, each of the temple’s four sides contains 91 steps, with the top platform marking the 365th – a three-dimensional calendar of sorts. Your beach holiday begins as soon as you have filled up on Mayan culture. Head to the luxurious Hotel Escenia, located in an isolated length of the Riviera Maya, where the finest white sand beach stretches along the hotel’s private 50-acre estate. Your remaining days in Mexico will be spent soaking in the aquamarine waters with the occasional organic spa treatments, chartered boat rides and diving adventures completing your experience.